What are the best used 7 seater cars? 7 seater cars have taken a bit of a dip in popularity, as better-looking SUVs continue to be a more popular choice for many in the market for a large family vehicle - creating some 7 seater bargains! Home › Car Advice › What are the best used 7 seater cars? That being said, there are still a lot of good people carriers around, at great prices too. For family cars, it’s likely that comfort, safety and roominess are going to be key priorities, so we’ve used those factors to help us identify five of the best used 7 seater cars out there. The 5008 remained relatively unchanged up until 2014, when it had a facelift which improved some interior elements and made some design tweaks, including noticeably different headlights. 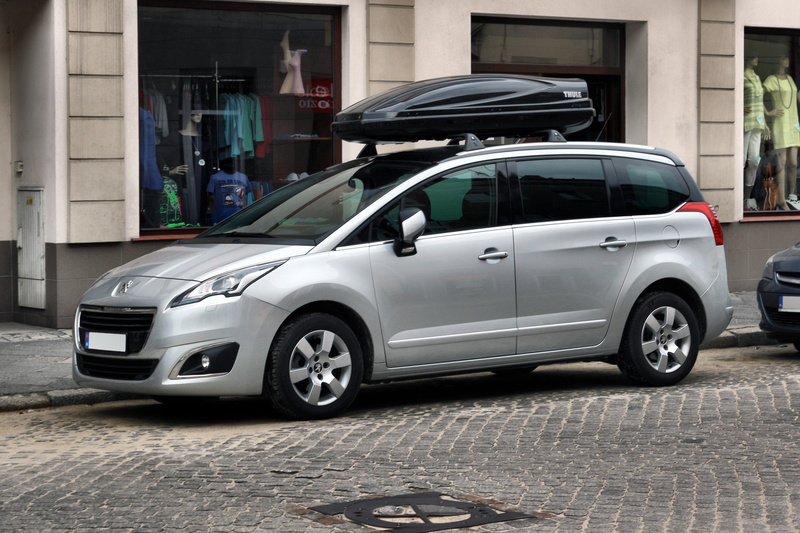 The Peugeot 5008 is available in two petrol engine sizes, or two diesel variants. The fastest is the 1.2-litre turbocharged engine, which’ll deliver 130bhp. However, we recommend you look for the diesel variant if you’re after a used 5008, as the petrol options get quite poor performance and economy. The 1.6-litre diesel option, however, will get you 65.7mpg, making this MPV incredibly cheap to run. With stability control and airbags down the whole length of the cabin as well as at the front, this is a safe vehicle, too. If you want to splash out, the newer 5008 Allure can get you nifty extra features like a panoramic glass roof and a heads-up display system for the driver. The Volkswagen Golf is an iconic vehicle that’s been around for decades. The Touran brings us the looks of the popular Golf vehicle – and it’s powered by the same engine- but in a more spacious, family-friendly (albeit boxier) version. The previous Touran model was launched in 2003, and this 2010 offers significant improvements. Not only does it look different externally – the cabin has been improved with the addition of features like improved climate and stereo control. The interior of the vehicle is no doubt roomy, although the dashboard can seem a bit plasticky. There’s less room in the third row of seats, which are probably best left for kids. However, put those down and there’s massive boot space. 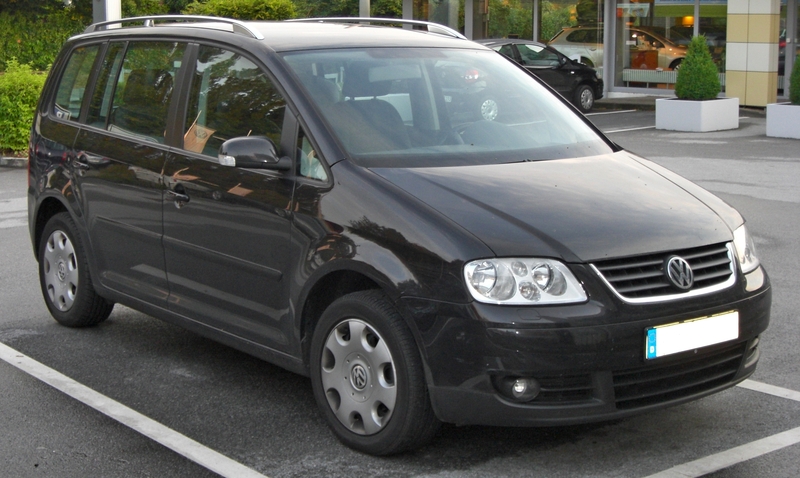 The Touran’s 1.2-litre petrol engine returns around 50mpg, which isn’t bad for a car of its size. There’s also the option of a 1.6 or 2.0- litre TDI. Safety features such as Volkswagen’s automatic braking technology, lane assist and Isofix-fitted seats helped gain the Touran a five-star Euro NCAP rating. 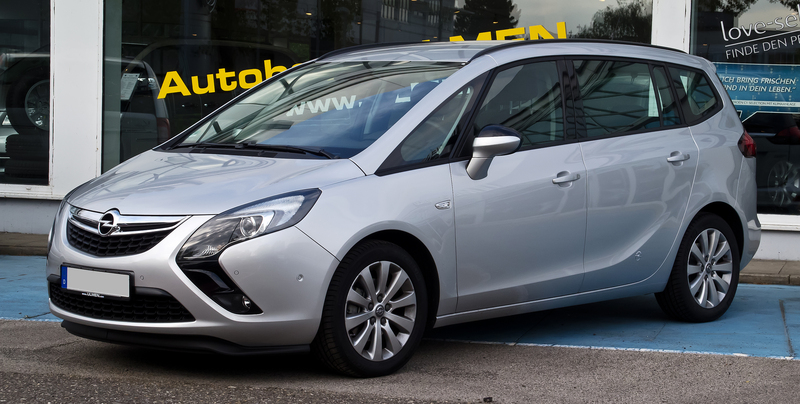 A second generation Vauxhall Zafira is a great choice if you’re after a used 7 seater that’s simple, cheap and practical. On sale between 2004 and 2014, the Zafira was a common sight on our roads, meaning there’s lots of them out there for sale now at decent prices. Additionally, repair costs are cheap and garages are likely to be familiar with Zafiras. A facelift in 2008 and the introduction of a 1.7-litre diesel ecoFLEX version in 2009 improved on the original, meaning it’s a good idea to look out for these later models, which remain very competitively priced, and are likely to have less miles on the clock. The 1.9-litre diesel returns around 40mpg, with petrol variants returning up to 35mpg. It’s admittedly not as good looking as some of its rivals on this list, and the boot’s on the small side with all the seats up. But it’s practical, reliable and great value. 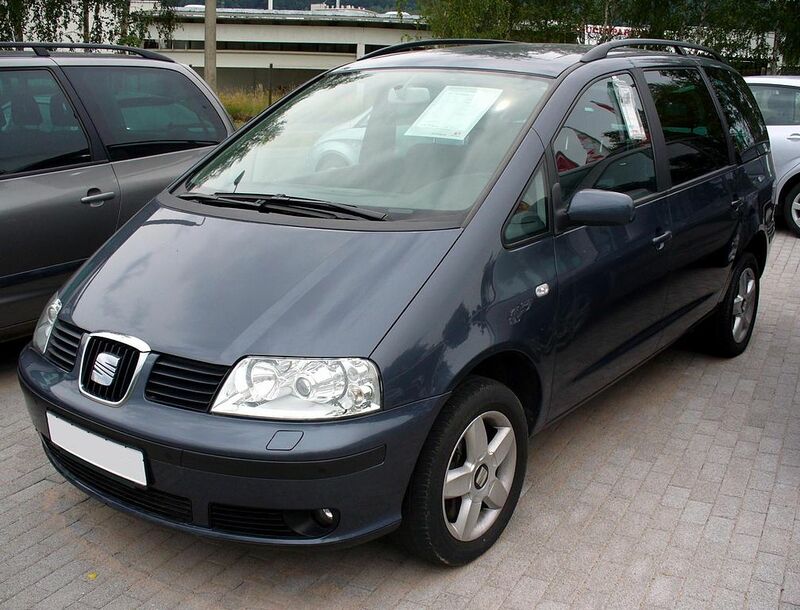 Similar to the Zafira in that it’s not going to win any beauty contests, the SEAT Alhambra is nevertheless a great choice if you’re after a used 7 seater car which is huge and practical. The original Alhambra was launched in 1996, so this second generation, launched in 2010, has been a much-needed update. There’s enough leg and headroom for two adults to sit in the third row of seats, and even with those seats up there’s a 267-litre boot. EasyFold seats mean that all five seats can be folded flat on the floor, leaving a cavernous load space. Only two engines are available – a 1.4-litre petrol and a 2.0-litre diesel, which can manage just over 50mpg. This vehicle feels stable to drive, and it’s large size makes you confident in its safety features. These are well-proven, with its numerous safety features and rigid structure gaining five stars in the Euro NCAP tests. The 2010 generation is a great seven-seater, but if you want an even more recent model, the Alhambra went through an update in 2015, which brought In some interesting tech. Among other things, there’s MirrorLink technology, which allows you to display smartphone apps on the car’s screen. The Citroen Picasso remains ever-popular for good reason – its futuristic design sets it apart as more stylish than lots of its rivals, and with a large and comfy interior it’s a great choice for those families after comfort and space. The first generation debuted in 2007, but it’s the second generation, which arrived in 2013 as a sleek and stylish vehicle, that we’ll be focusing on. The petrol engine will get you 129bhp, and in 2016 this was also made available in automatic. At the bottom end of the diesel options is a 1.6-litre HDi engine with 99bhp. The top-level variant is the more powerful 2.0-litre diesel, which’ll get you 148bhp. Even this top-end engine can manage up to 74mpg. A good range of safety features such as ABS and curtain airbags cement its place as a top choice for a family after a second-hand people carrier. 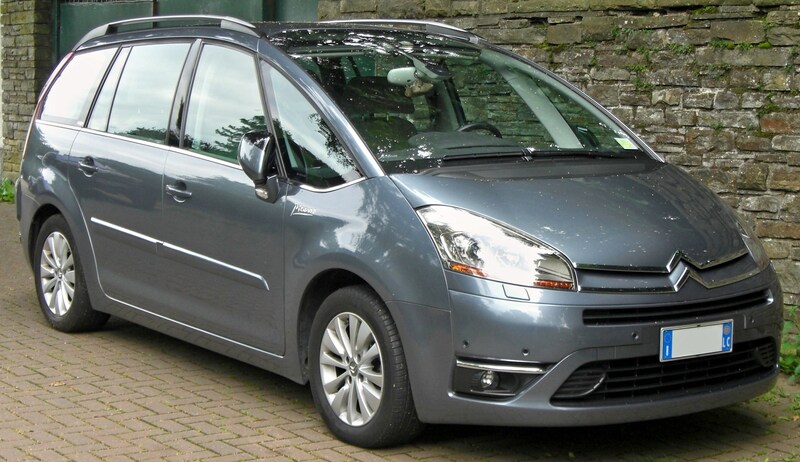 These are just some of the top-ranking MPVs – browse thousands more used 7 seaters today!